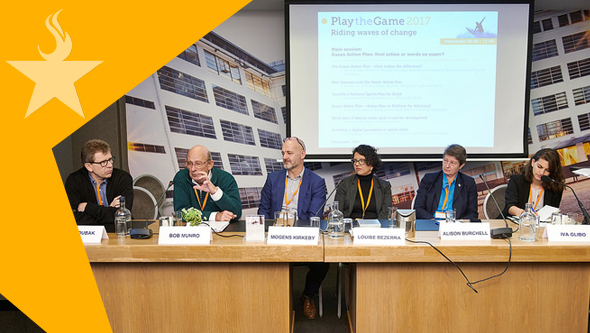 Home/2017, Advocacy, Members, Projects/EGLSF at the “Play the Game 2017” conference, Eindhoven. 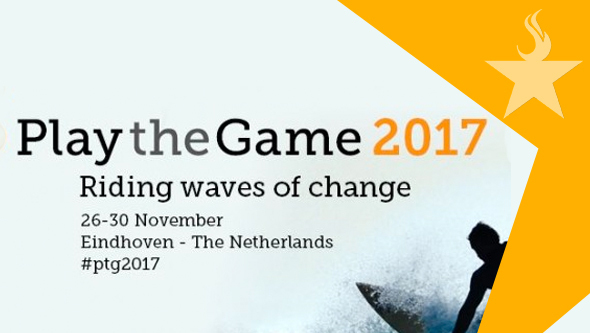 Play the Game 2017 takes place in a period of time, when more and more media, governments and sports organisations have had to face those problems that have been following sports for many years and on many levels. During these three and a half days there were so many topic: sexual abuse in sport, good governance within sport organisations, the rights of athletes, anti-doping policies, match fixing, crime and corruption, sustainable mega-events, transgender athletes, Kazan action plan, the Rooney Rule etc. On the first day the main session about sexual violence and abuse and how to prevent it was very interesting. Karen Leach reported how her dream of being an athlete for Ireland at the Olympics was destroyed by being a victim of sexual violence and abuse in sport. The research project from the German Sports University with round about 80 interviews with victims was presented. The project includes a study of 1,800 athletes in Germany. 37% have experienced forms of sexual violence – from sexist jokes to abuse with physical contact. 70% of the victims were under the age of 18 when first experiencing sexual abuse. A chilly climate in the regimes in which the victims trained – a “no pain, no gain” mentality. Now the researchers are developing educational materials with the support of the EGLSF. The project will be end with a conference in 2018. On the third day the session of the FARE Network about ethnic and gender representation in sports governance and senior coaching in European football clubs was very good. Key findings indicated that 95,% of senior governance positions and 98,1 % of senior coaching positions are held by whit men – illustrating an obvious lack of gender and ethnic minority representation at the highest levels of football governance and coaching in the UK. In The Netherlands there is nearly no diversity in these positions. Less than 2% of ethnic minorities hold senior governance position and only 5 to 10 % of coaches have a minority background. Between 2002 and 2017 the number of female board members in Dutch sport federation increases from 10 to 19 %. But the majority of boards in Dutch football clubs have not written policy measures to ensure gender diversity. And mostly when there is a vacant position, boards do not put special emphasis on the appointment of women. Limited access to relevant training and education. A tendency for governance bodies to recruit based on networks rather than qualifications. Existence of racialised and gendered stereotypes. Lack of commitment to change. Experience of discrimination leading people to “drop out” of the sports industry. A model of best practice can be seen in the American National Football League (NFL). For a long time, leadership in the NFL was predominantly white – and still is. However, since the introduction of the so-called “Rooney rule” there has been improvements. The Rooney rule states that at least one person of colour must be interviewed when NFL clubs are looking for new coaches. There must be similarity in the interviews (i.e. between coloured and whites). Any violation of the rule needs to be sanctioned. There must be an advocacy organisation pushing the sports league to implement the rule. There must be substantial monitoring of the rule. Who was interviewed and how? Who got the job? While racial/ethnic minority footballers have a record of success as players on the pitch, they are clearly under- represented within the coaching and leadership/ governance structures within football across Europe. The levels of exclusion go women as leaders is similarly stark. And the difference between football and other sports is not big. There are the same situations.